We will be placing notice of an upcoming ISM Webinar soon! Learn how best-in-class manufacturing companies have embraced digital transformation and created customer-centric strategies to propel growth for themselves and their customers. Join Barton Goldenberg, President at ISM, and Craig T. Nadig, Director of Customer Solutions and Business Transformation for Armstrong World Industries, to provide you with a framework to ensure your successful digital transformation, while hearing stories about top manufacturing companies leading the way in digital transformation. ISM Founder and President, Barton Goldenberg, and Matt Tharp, Chief Evangelist for bpm’online will discuss in this Webinar recording: delivering the right content through the right channel at the right time – with appropriate messaging, customized for individual prospects and optimized for wherever they happen to be in their buying journey. ISM President Barton Goldenberg and Chad Engelgau, VP, Global Identity and Data Product Management for Acxiom will discuss in this Webinar recording: how to drink from today’s digital firehose of information. You will additionally observe real-world case studies and gain insights from two industry leading companies on the topic of Transforming Customer Data into Value. 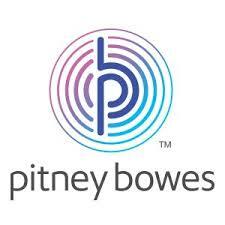 ISM President Barton Goldenberg and Gerhard Heide, Director of Global Market Strategy for Pitney Bowes, present 5 critical steps to acquiring, retaining and growing customers in today’s digital deluge. Learn how global, best-in-class companies are implementing their Engaged Customer Strategies with real-world case studies and tips for succeeding in your customer engagement efforts. If you are responsible for helping your organization survive and thrive in the future, this is one webinar you will not want to miss! How can you win mindshare from partners to work with you? Join Barton Goldenberg, President at ISM, and Jason Perocho, Product Marketing at Salesforce, to learn how to become your partners’ go to vendor and make partners your strategic advantage in sales. 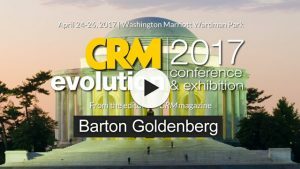 Watch the full video of Barton’s two-part Executive Bootcamp – ‘Delighted Customer’ Strategy, delivered April 24th at the CRM Evolution Conference and Exhibition in Washington DC. The sessions cover the components of an effective strategy to delight customers amidst ‘the digital deluge,’ along with core role of CRM. 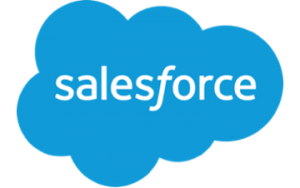 Barton speaks with Salesforce in an episode from their popular podcast series, Quotable. Partner channels can supercharge sales, or derail it, depending on your strategy. Join Barton as he shares his secrets to successful channel sales management.